Fresh watermelon. Want an easy way to enjoy that summer staple? 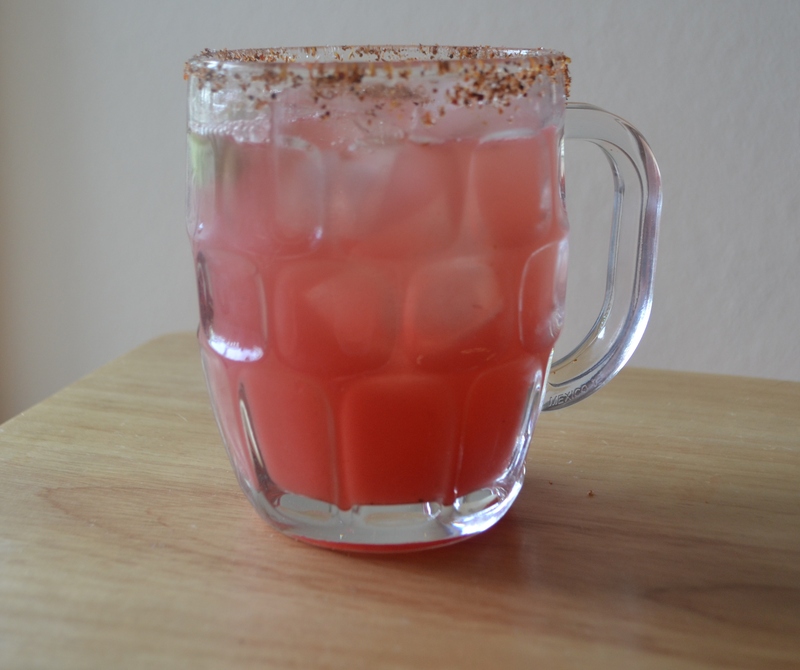 For those of you who grew up eating watermelon (sandia) with lime, chile and salt -this drink is for you. You get hit with a slew of flavors. Sweet, salty, tart, spicy. Not to mention it smells wonderful. That fruity melon aroma just screams summer. It makes you want to sit back, enjoy the breeze and feel the grass underneath your toes. Now this recipe is for a single serving but it can easily be made in a pitcher and served alongside all your other bbq regulars. And if you are looking for a new mixer look no further. 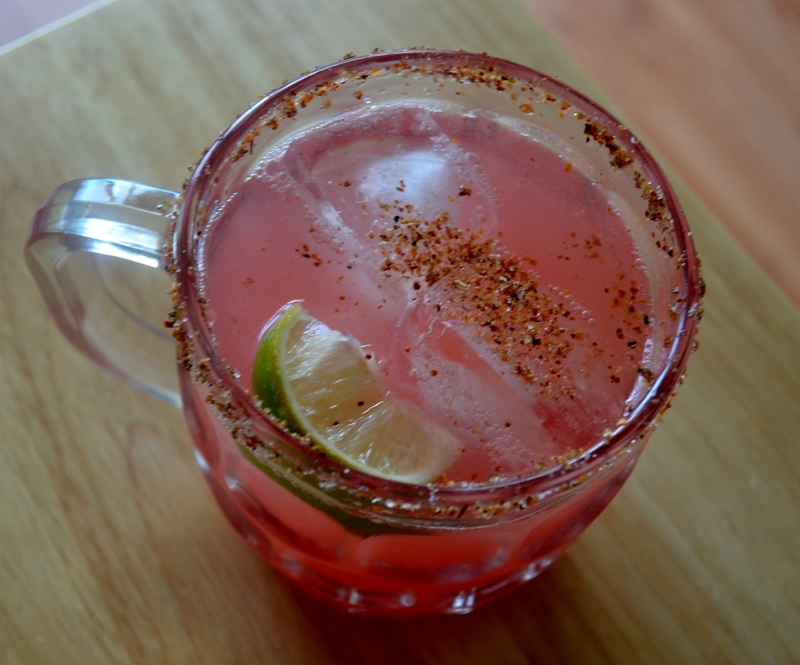 It will go well with a splash of tequila or rum (or vodka or gin or…). What a perfect summertime refreshment. 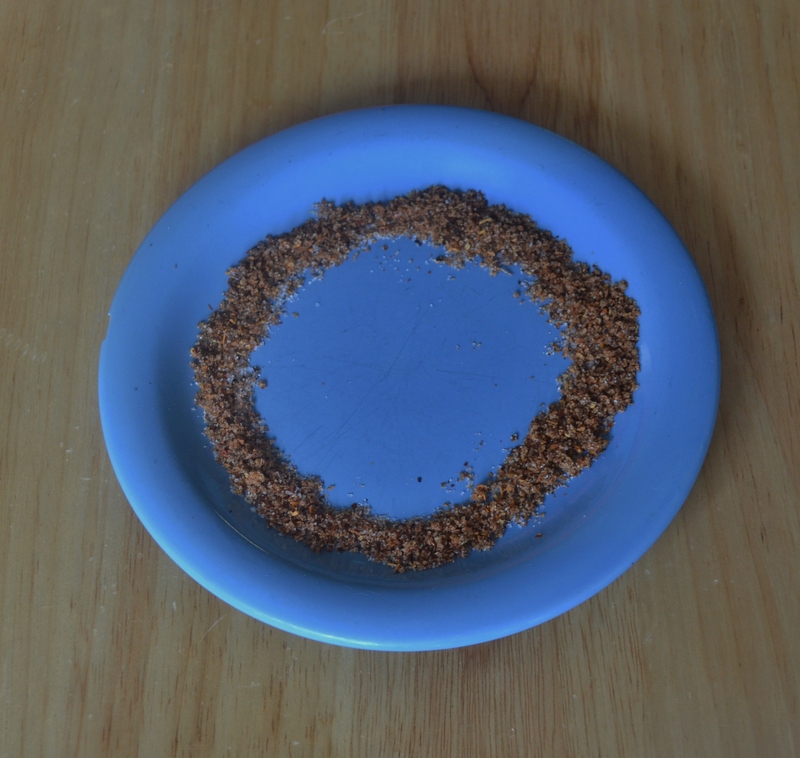 Mix salt and chile powder on a flat plate. Wet rim of serving glass with lime juice (or water). Dip glass into salt mixture. Add ice to glass. Pour watermelon juice and sparkling water into glass. Squeeze lime, and then toss it in to make it look pretty. Give a good stir. Sprinkle a little more of the salt mixture on top. Salud!